Ronin delivers the right data, to the right hands, when it’s needed–in real-time. We believe in showing, not telling. See how the Ronin Platform works firsthand. We're proud to work with industry leaders. Utilizing your current IT investments, the Ronin Platform ties existing systems and infrastructure together. It takes the data you’re already collecting and puts the right data in the right hands, so action can be taken right now. There is a difference between having a lot of data and having the right data. RONIN integrates relevant operational data from the systems you already have in place to drive real results. The best decisions are made when the right decision maker is included. RONIN improves efficiency, breaking down inefficient workflows and data silos. It delivers data in context of user, location, job, and workflow step. 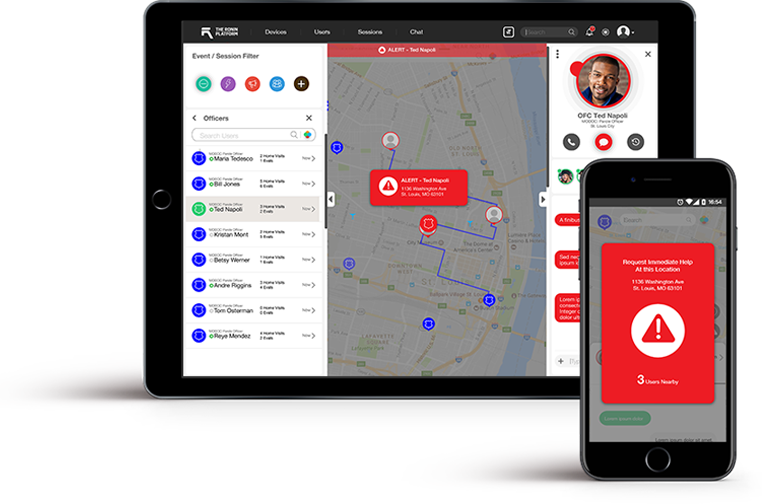 RONIN offers real-time visibility and can instantly disseminate accurate information across your entire business — allowing the right people to take immediate action.